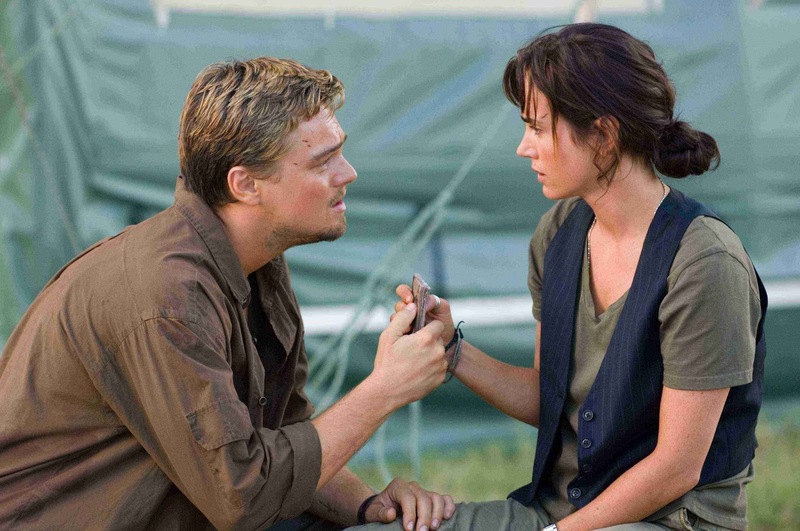 A geopolitical action drama about the trade in African war zone diamonds, Blood Diamond is a masterpiece. With remarkable fluidity and through an engrossing story, the film delves into the multiple woes inflicted on Africa in the name of greed, power and the chase for personal fortunes. In Sierra Leone, the family of fisherman Solomon Vandy (Djimon Hounsou) is shattered by the raging civil war. Solomon is enslaved by the brutal Revolutionary United Front (RUF) and put to work in a diamond mine. His son Dia is also eventually captured by the RUF and transformed into a child soldier. While working in the mine, Solomon finds a rare large pink diamond. In the chaos caused by a government troop attack, he hurriedly manages to bury it. Danny Archer (Leonardo DiCaprio) is a scrappy arms dealer who illegally trades weapons for diamonds, and then exports the gems out of neighbouring Liberia. Born in what was Rhodesia, orphaned at an early age and trained by South Africa's apartheid army, Danny is cynical about the prospects of Africa ever breaking out of the violence cycle. When his latest deal goes bad, Danny spends the night in jail where he crosses paths with Solomon and hears about the large pink diamond. Danny also meets journalist Maddy Bowen (Jennifer Connelly), who is investigating how the illegal trade in diamonds helps to finance Africa's civil wars. With the RUF gaining in strength and attacking the capital Freetown, Danny pressures Solomon into showing him where the buried diamond is. In return Danny promises to help find Solomon's family. As the country disintegrates into chaos, South African mercenaries enter the conflict to try and seize control of the mines. Danny relentlessly pursues the diamond, Solomon remains intent on reuniting with his family, and Maddy realizes that Danny has all the information she needs to link Africa's agony with the international diamond trade. Directed by Edward Zwick, Blood Diamond is an example of how to expertly construct a beautiful message film. 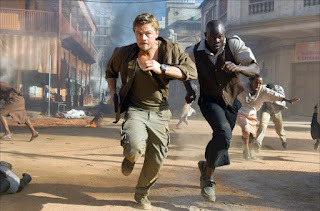 The Charles Leavitt script tackles not only blood diamonds but also the horror of child soldiers, the agony of mass civilian displacement and the continuous anarchy of violence that grips Africa, and does it through a provocative story that ties international consumerism with the convulsions of a continent in turmoil. 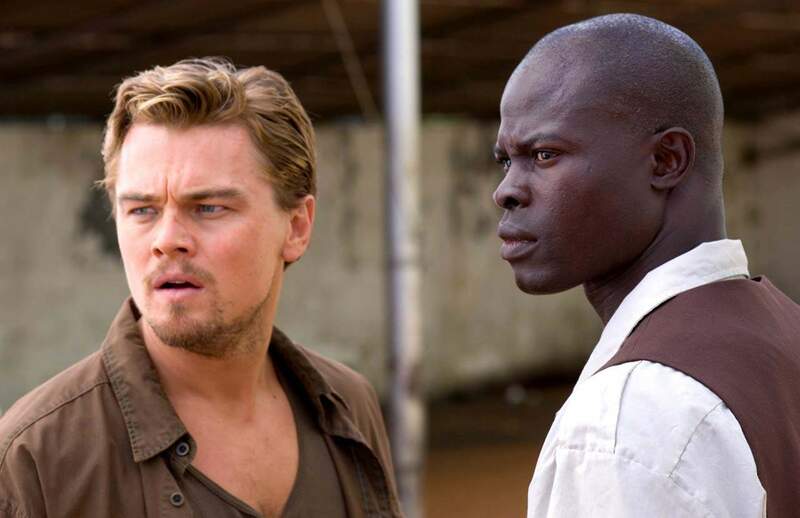 Blood Diamond is never preachy, but through its human-centred and action-packed narrative, its makes its points with devastating power. At 143 minutes, the film has epic ambitions, and it does not disappoint. Against a canvass of multiple themes, the focus on just the three characters works remarkably well. Archer as the cynical mercenary both benefiting from and perpetuating turmoil, Solomon as the local victim caught up in the greed of other and Maddy as the idealistic but determined foreign observer provide plenty of opportunities for Zwick to vigorously chase after the threads that come together in the mines, villages and cities of Sierra Leone. The action set-pieces are delivered with explosive bombast. Highlights include the RUF's attack on Freetown and the mercenary army's helicopter pummeling a diamond mine, in both cases Zwick capturing what it means to be caught up in the chaos of a battle zone. Cinematographer Eduardo Serra and the understated but poignant music by James Newton Howard contribute to the majesty of Africa's landscape and misery of squalor, death and destruction. But for all the weaponry and brutality on display, Blood Diamond is much more about story than action. This is a lament about a continent blessed with beauty and natural resources but cursed with conflict, barbarism and death. The script spares no villains, and points fingers at international corporations, outside meddlers, local governments, barbaric revolutionaries, internal strife and unadulterated greed. The uniforms on all sides are different and range from suits to ragtag fatigues, but their actions have the same outcomes and harm the same victims, men, women and children displaced, enslaved, militarized, hacked and killed. Leonardo DiCaprio delivers one of his career-best performances as Danny Archer. DiCaprio sustains a cocky Rhodesian / South African accent and attitude, an African man who has personally experienced the worst that the continent has to offer and in return is contributing to its decline. Djimon Hounsou as Solomon is equally authoritative as Archer's counterpoint, a simple man who survives on pure optimism about his family's future. Jennifer Connelly does her best in the lesser role of journalist Maddy Bowen, a character that required more grime, less glamour and more pragmatism than the script was able to offer. The film's themes are captured in two simple metaphors, the acronym TIA (This Is Africa) and the red soil that feeds the continent and hides its riches. Before his quest for the large diamond is over, Danny Archer will understand his true role in both. Blood Diamond is an absorbing experience, an eloquent yet hard-hitting exploration of the agonizing tragedies afflicting a continent and shaming the world.